A single particle emerges from inside the heart of the particle collider, and within a time so short as to be undetectable to all but the most sensitive sensors, explodes into a slurry of elemental particles, that go on through a myriad of detectors. This time would be like every other experiment, except, on this occasion, some of the particles which were supposed to appear, didn’t. Instead, a concentrated burst of gamma radiation would hit the wall of the accelerator. “… this amount of particles not showing up in that experiment and the burst of gamma radiation found could only mean we created a temporary singularity! It’s hard to believe I know, with this being just such rare event in general, but it has to be it! Nothing else could create such a pulse!” said a young research assistant, while waving her clipboard frantically. “You’re just saying nonsense. The energy needed would be far beyond the capabilities of our small accelerator.” replied a senior researcher, who had the name tag “Dr. Charles” on his lab coat. “I apologize, Miss Yu, I am afraid that I am simply trying to prevent a young and promising member of our organization from pursing fruitless and foolish goals, as well as not have them waste any resources.” said Dr. Charles, in a very rushed manner. “Your problem is your lack of creativity, Charles. You’d be in a much higher position than just level 3 if you were. Now away with you. I want to talk to your assistant.” And with that, Miss Yu waved her hand towards the door, and Dr. Charles, with a huff of anger, walked briskly out. “Now, you should explain to me your findings again, I am curious as to how you could come to such a conclusion, ” said Miss Yu, while pulling out a chair and opening the porthole next to them, revealing the large view of Jupiter, of which they were in orbit around. Making a particle accelerator here had always been a idea, dating back to 21st century science fiction novella. As Miss Yu listened to this young assistant talk, she began to realize how much this person reminded her of herself at a younger age, studying with the best in the physics field. “Oh I’m terribly sorry, my name is Alice. I am from the area that used to be Britain…” Alice looked rather uncomfortable discussing her past, especially since Britain was one of the countries that had been near entirely wiped out by the massive tsunami originating from the tremendous asteroid impact out in the Atlantic, and her family had been caught by the massive flooding. “You are … promoting me?” Alice was doubtful of anything like this, since promotions almost never happened, not without the death of a senior researcher. 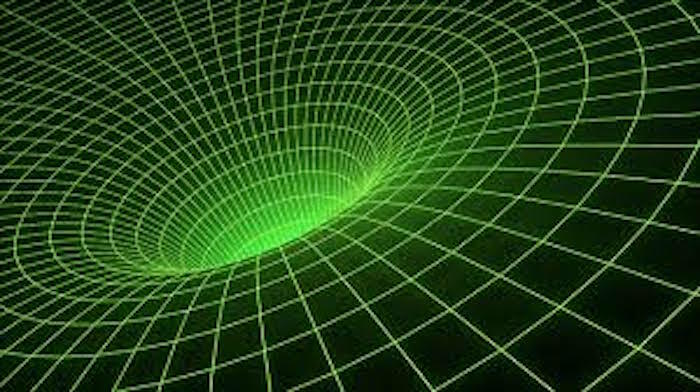 Many years later, the scientists would manage to perfect a wormhole device, but it was not without its casualties. More than 30 people would die testing the device, as it had a particular proclivity towards emitting deadly radiation. Now, on the 379th try, it appears as though the machine is functional and the portal is stable. Here it goes, thought Alice, this is one of the last times I’ll get to try this. Hopefully it will work. “Wormhole holding steady, fluctuations at minimum levels,” said the computer. Alice looked worriedly at the portal however, since the maximum it had ever transported before was a measly 50 kg, and now, after stepping it up for hours now, it had continued to hold steady. I wonder what would happen if I threw a 10,000,000 kg neutron matter chunk in it. Would it destabilize? Hmm. Let’s try half that. With that, she inserted the largest mass she had on the station into the wormhole with a robotic arm. It was instantly sucked in, and the wormhole flickered dangerously, and warning klaxons ran across the room, but an instant later, it reappeared at the other end. With this success, she leaped up in joy, and ran out to tell her supervisor of this success. With this successful trial, wormhole technology would finally become a reality. However, there would be an unprecedented problem that would soon appear, especially with attempts at creating galaxy spanning wormholes. With the construction of the first large-scale wormhole generator finished, it was time to put it to the test. As the roar of the fusion reactors grew, a small pinprick of light appeared in the middle of the generator. A few seconds later, it grew to the size of a small ship, and a few more seconds later, it grew to its maximum size, and was now large enough to take in an entire spacecraft, laden with the many people of Earth, who now sought to find a new home. As the first ships arrived, a computer detected a minor anomaly in the wormholes, which were presently side by side. “Excessive load, Excessive load,” warned the computer. The on duty technician paid no heed to this, as he, in his training, had been taught to ignore this warning, as it was essentially impossible. Yet, right before his eyes, the wormholes began to flare and increase in brightness. As the technician quickly looked around for an off switch, he slipped, and fell. As he got up, he realized the wormholes were nearing critical mass, and couldn’t be sustained any longer. On board the ship, Alice realized that there would be only one way to prevent a catastrophe. She activated the other wormhole pair, which was linked with the Alpha Centauri system, and quickly launched her ship through. In the instant the ship left this system, carrying its cargo of one hundred thousand people, the two wormholes collapsed, and emitted a powerful burst of radiation that destroyed everything in its path. We are all that’s left, thought Alice, and we are the last hope of humanity. She sat down, weeping, trying to take it all in. At least this ship wasn’t a testing ship. Alice was now over 80 years old, among the oldest of the colonists. Looking back, there wasn’t really much else that I could have done. The technology of this colony had now regressed down to the early industrial era, with a lack of resources and infrastructure hampering their every attempt towards advancement. Sometimes, she wondered about that crew of Americans, still flying out in their small ship, kept in stasis, waiting for a radio command that would never be sent. But then, we aren’t so different. We are lost as well, lost in the infinite expanse of space, forever destined to be alone. Clarence Chen, a junior at Clayton A.Bouton High School, is The Blackbird Review Podcast Supervising Editor.